From left to right: Zoe Russell, assistant executive director of RAMP, U.S. 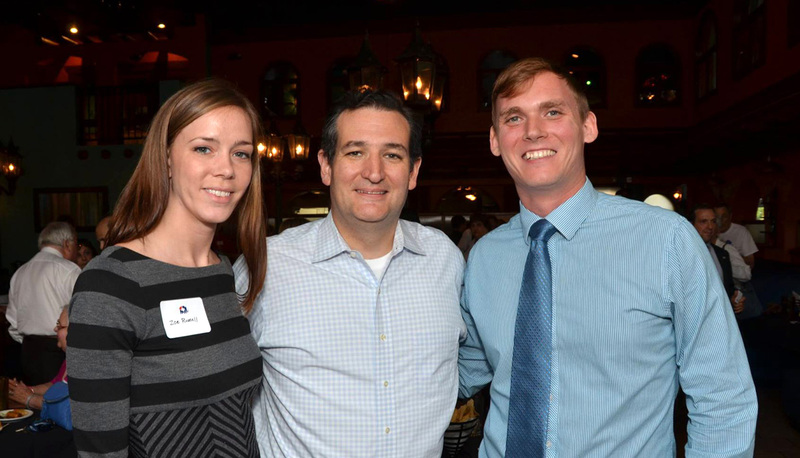 Senator Ted Cruz (R-TX), Jason E Miller, executive director of Houston NORML and life member of RAMP. Photo Credit: Bobby Rodriguez. This is significant because the issue is sure to come up in future Senate bills and amendments. The issues of states rights, gun ownership and medical privacy are important to conservatives. We’re pleased that Sen. Cruz is supportive of efforts to protect gun ownership rights of patients who use marijuana for medicinal purposes. Many of these patients suffer from a debilitating condition and are disabled to some degree. Imagine someone in a wheelchair not being able to defend his or herself against a home intruder, not being able to go hunting with friends and family, or not being able to purchase guns or ammunition from a local gun dealer. Imagine a cancer patient that owns firearms, uses medical marijuana in compliance with State law and is unaware of the Federal law. This individual could face up to 10 years in Federal Prison. The Federal law is unjust and the letter issued by the ATF is an outright attack on the 2nd Amendment rights of over a million Americans. People who act in accordance with the laws of their State and choose the medical treatment that works best for them should be free to exercise their 2nd Amendment rights. Unfortunately, the federal government disagrees. This particular amendment may not come up for a vote in the Senate; however, we are sure to see continued bipartisan efforts to protect lawful medical marijuana patients from Federal prosecution. In addition to Walsh’s amendment, Sen. Rand Paul (R-KY) and Sen. Cory Booker (D-NJ) filed an amendment to the DEA appropriations bill as a bipartisan measure to prevent the Drug Enforcement Administration (DEA) from using federal funds to go after medical marijuana operations that are legal under state laws. A similar amendment passed the U.S. House in a historic 219 to 189 vote just a few weeks earlier. We applaud Sen. Ted Cruz for his support of efforts to protect our 2nd Amendment rights from being infringed upon by the Federal Government. We are hopeful that Sen. Cruz will also be supportive of the Booker/Paul amendment and other efforts to protect medical marijuana patients from Federal infringement. This entry was posted in 2nd Amendment, Medical Marijuana, Montana, Republican Support, Ted Cruz. Comments are currently closed.